DAVID BOWIE Heroes Album Session (1980's limited collectors edition, UK black and white poster of one of the images taken from the Heroes album cover session by RCA at the time. Measuring 19.5" x 29.5", this is printed to smooth stock paper and is free of pinholes, sellotape, rips and tears. 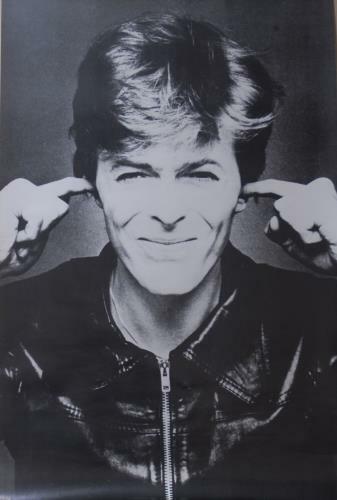 A fabulous image of Bowie, perfect for framing).